Take complete control of your supply chain. Xpect offers complete multi-location inventory control, integrating the tracking of stock levels at all stores and warehouses. With your numbers accurate up to the minute, you're able to keep a tight control over shrinkage and have the ability to audit all changes to quantity on hand anytime. Xpect enables complete visibility of your entire inventory. Employees can quickly locate product and organise shipment on the spot from any of your store, warehouse, or branch locations. Plus, tracking is automatic so you can reference product-movement history anytime. 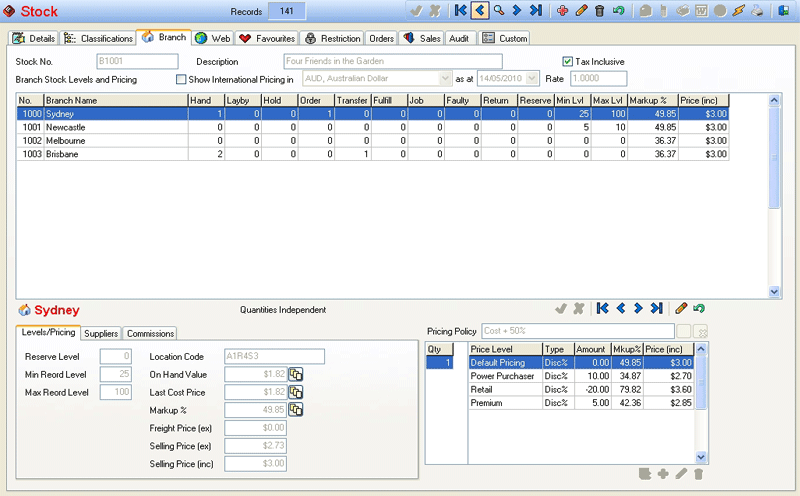 Configure the levels, pricing and suppliers for individual stock items. You can also set different price breaks and discount levels for each item. Save time and money by enabling automatic ordering, freight, insurance, and exchange rate calculations. Xpect can also keep your customers in-the-loop throughout the order fulfillment cycle, with automated email features. Perform full or partial stocktakes at any store, anytime, with barcode readers for maximum efficiency. Reduce administrative time and costs with automatic re-ordering of stock based on predefined triggers, and enjoy knowing exactly where you're at with all purchase/receive information at your fingertips. View the status of any order: new, pending, on backorder, fulfilled, or delivered. Plus, this status is optionally published to your Member Portal to keep customers informed. Service Company? Win More Business! Improve your capability to respond to customer needs before your competitors. 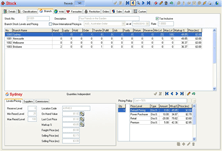 List default services and prices in Xpect for use on quotations, sales orders, purchase orders, sales invoices, shipping dispatches and job costs.